Shanghai, China - September 22, 2011 - General Electric (NYSE: GE), the world's premier technology company, signed a Memorandum of Understanding (MoU) with General Motors (NYSE: GM), one of the world's largest automakers, to jointly accelerate the deployment of electric vehicle (EV) charging infrastructure in China. The MOU was announced at the 2011 China International Electric Power and Electric Engineering Technology Exhibition in Shanghai. GM China Electrification Strategy Executive Director Ray Bierzynski attended the signing ceremony. General Electric (NYSE: GE), the world’s premier technology company, signed a Memorandum of Understanding (MoU) with General Motors (NYSE: GM), one of the world’s largest automakers, to jointly accelerate the deployment of electric vehicle (EV) charging infrastructure in China. 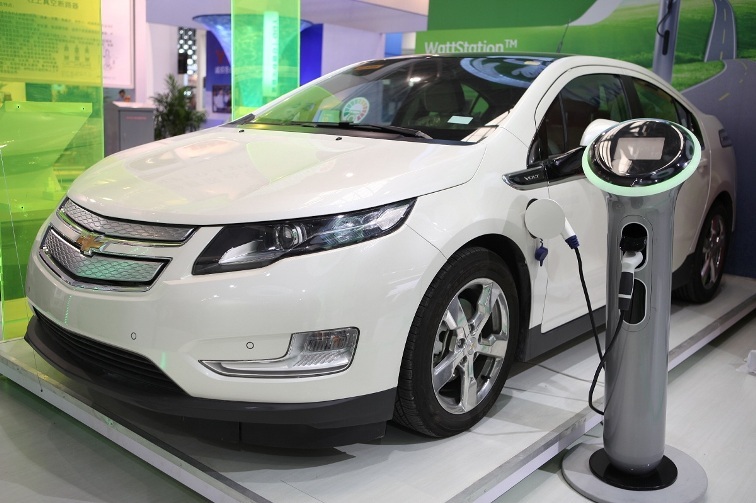 The Chevrolet Volt is being charged by a GE WattStation. The MOU was announced at the 2011 China International Electric Power and Electric Engineering Technology Exhibition in Shanghai. The main piece of the co-operation centers on Shanghai, which was selected by the Chinese government as the country’s first EV pilot city earlier this year and home to both GE’s and GM’s China headquarters. The 2011 Chevrolet Volt electric car. The two companies agreed to install GE’s WattStation™ and DuraStation™ charging systems at a government-assigned international EV demonstration zone in Shanghai’s Jiading District and at the GM Headquarters office in the city. GE’s new electric vehicle charger, the GE WattStation™. 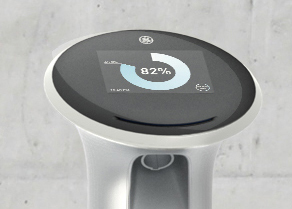 WattStation™ and DuraStation™ are different specifications of EV charging systems developed by GE Energy Industrial Solutions group that enable rapid charging for electric vehicles both at home and on the road. According to the agreement, GE will also purchase GM’s Chevrolet Volt, an electric vehicle with extended-range capability, for use at its China headquarters campus in Shanghai. General Motors plans to begin selling Volts, already a successful model in the North American market, in China before the end of this year. In addition, the companies will coordinate their respective engagement efforts with relevant Chinese government ministries, regulators and grid operators on formulation of the country’s EV industrial standards. In August, GE Energy announced a partnership with Hertz Corporation, the world’s largest airport car rental company, to advance the rollout of EVs and charging stations in China, which includes the co-location of electric vehicles and GE EV charging infrastructure as a combined offering. GM Executive Director of Electrification Ray Bierzynski. 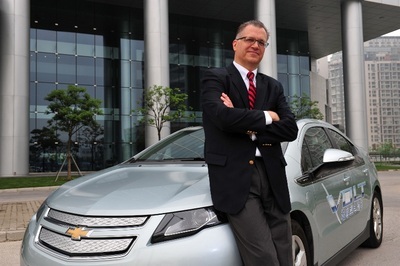 Raymond Bierzynski was appointed executive director, Electrification Strategy, for GM China, effective June 1, 2011. Based in Shanghai, he is responsible for coordinating and accelerating the commercialization of electrification technologies in the world’s largest vehicle market. 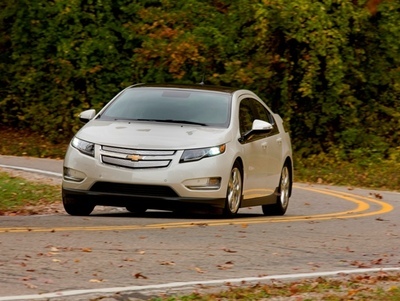 The 2011 Chevrolet Volt electric car with extended-range capability was named Green Car of the Year. The Chevrolet Volt is an electric vehicle with extended-range capability. 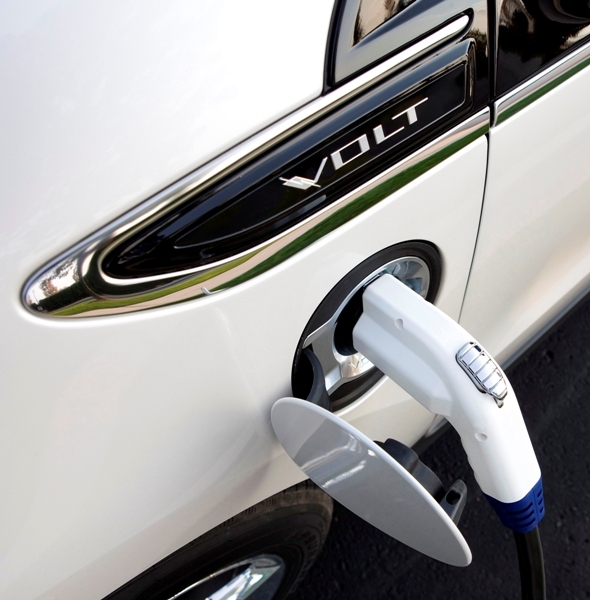 When the Volt’s battery runs low, a gas-powered engine-generator seamlessly engages to extend the driving range until the vehicle can be recharged. 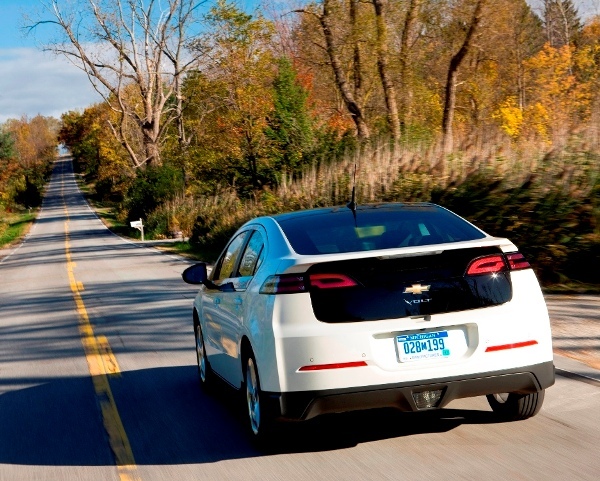 The Volt has a driving range of up to 80 kilometers in pure EV mode and 490 kilometers in extended range mode. 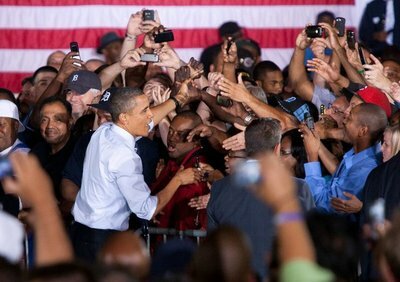 GE (NYSE: GE) is a diversified infrastructure and finance company taking on the world’s toughest challenges. From aviation and power generation to financial services, healthcare solutions, oil and gas and rail, GE operates in more than 100 countries and employs about 300,000 people worldwide. GE started doing business in China in 1906. Now all GE businesses have set up operations in China with over 50 wholly owned entities and joint ventures in manufacturing, service and R&D. 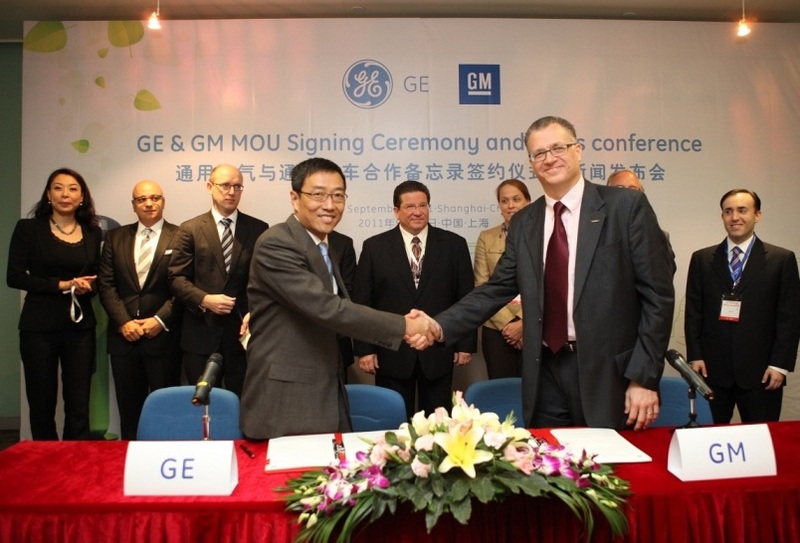 GE employs 16,000 people in China. The company’s advance technologies and solutions are helping some of the key industries of China to realize sustainable development, include: clean energy, aviation, healthcare and rail, etc. General Motors traces its roots back to 1908. GM has 11 joint ventures, two wholly owned foreign enterprises and more than 35,000 employees in China. GM and its joint ventures offer the broadest lineup of vehicles and brands among automakers in China. Passenger cars and commercial vehicles are sold under the Baojun, Buick, Cadillac, Chevrolet, Jiefang, Opel and Wuling brands. In 2010, GM sold more than 2.35 million vehicles in China, which represented 28.8 percent growth over the prior year. It has been the sales leader among global automakers in the market for six consecutive years. He returned to China after having served as GM’s executive director, Global HV AC/PT Cooling, since November 2009. Bierzynski had earlier held the post of vice president, Engineering, for GM Asia Pacific and executive director, China Engineering, since November 2007. Bierzynski began his career with GM in 1978 with the Cadillac Motor Car Division in Detroit and also worked in Exterior Components for the Cadillac/Luxury Car Group in Flint. In 1997, he moved to the Mid/Lux Car Group Warren as director of Exterior. He later served as director of Architecture Integration Design for Car Group Engineering before becoming executive director of Advance Purchasing, where he led the engineering and advance purchasing process. In 2004, Bierzynski was named president of the Pan Asia Technical Automotive Center (PATAC), GM’s automotive engineering and design joint venture in Shanghai. Bierzynski has a bachelor’s degree in mechanical engineering from Kettering University and a master’s degree in business administration from Harvard University. 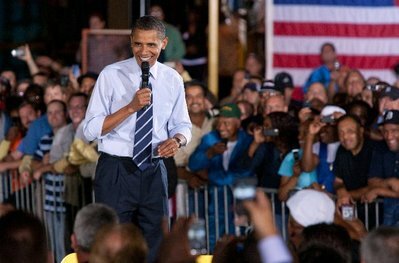 He also participated in an executive development program at Northwestern University’s Kellogg School of Management. He received the 2006 Shanghai Municipal Magnolia Award, which is given in recognition of outstanding social, economic and cultural contributions to the municipality by foreign experts, scholars and entrepreneurs, for his efforts to strengthen PATAC and promote technical exchanges between China and other countries. 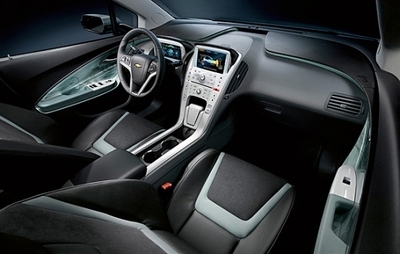 The 2011 Chevrolet Volt electric car interior. 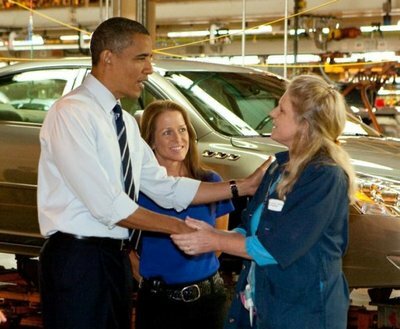 President Barack Obama and Detroit-Hamtramck Plant Manager Teri Quigley take a look at the 2011 Chevrolet Volt on July 30, 2010. Inteligentna sieć energetyczna Mitsubishi Corp.
President Barack Obama gets behind the wheel of the Chevrolet Volt with Plant Manager Teri Quigley to take it for a quick drive at the Detroit-Hamtramck assembly plant on July 30, 2010. 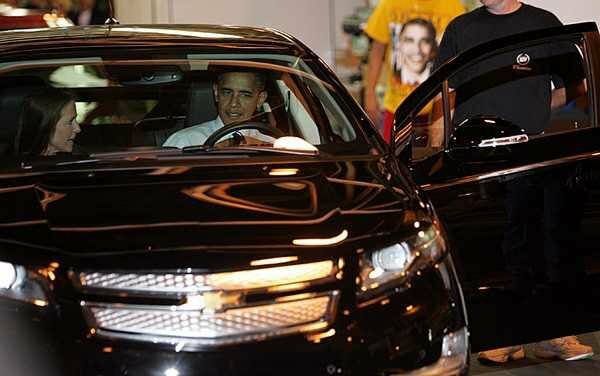 President Barack Obama gets behind the wheel of the Chevrolet Volt to take it for a quick drive at the Detroit-Hamtramck assembly plant on July 30, 2010. President Barack Obama and Detroit-Hamtramck Plant Manager Teri Quigley talk with an employee on July 30, 2010. 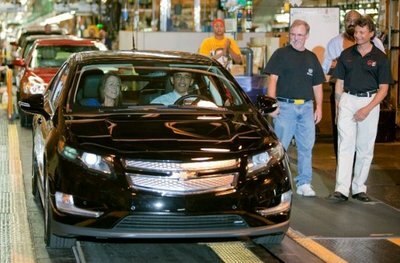 The 2011 Chevrolet Volt will be produced at this plant. 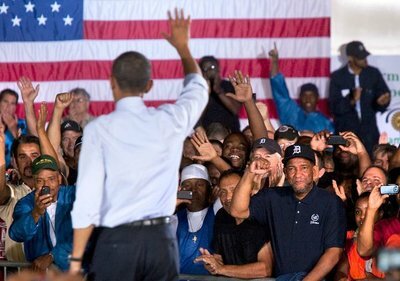 President Barack Obama speaks to a crowd at the Detroit-Hamtramck assembly plant on July 30, 2010.